This tutorial is the first step to understand the concept of the SKYVVA integration Cloud. It describe the main SKYVA object called “Integration”. In general, Integration is the act of bringing together smaller components into a single system that functions as one. It is the combination of technical and business processes used to combine data from disparate sources into meaningful and valuable information. SKYVVA integration is such a concept to create a container or folder to keep related interface together. So here Integration is logical folder or group to hold interface belonging to the same business context. 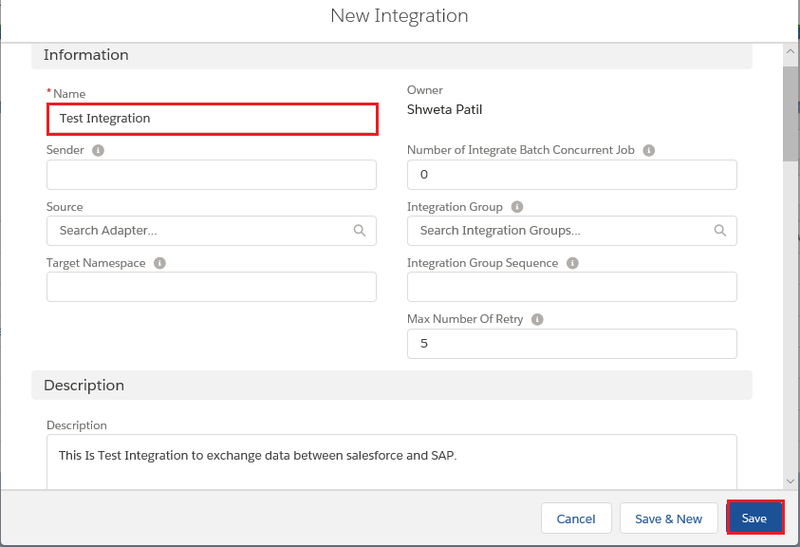 For example, create an integration with the name “Salesforce SAP Integration” in which you can create all interfaces related to SAP connection. Create another integration with name “Salesforce Google Integration” to hold all interface related to Google business. Another good use for creating different integration is that you can create different integration for different training purpose in your company . One integration is for the real business and other integration is for training so you don’t mess up the interfaces between training and production integration. In Skyvva, interface can be created for different purpose. Normally company have different and many interfaces to exchange data between exiting applications. Example, You have integration to connect SAP, Google or eBay to Salesforce. If you put all interface into one single view you would lose easily the overview. So the best approach is to create logical folder or group to hold interface belonging to the same specific business context. Following are the main steps of the tutorial. You need to register with salesforce. 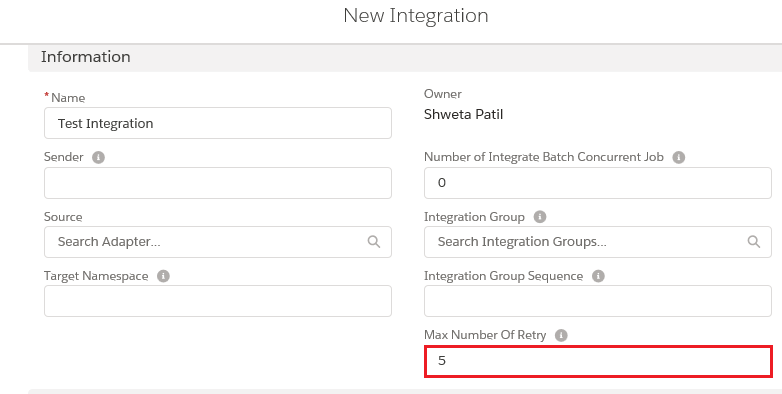 On the Integration page, find New button and click on it to create new integration. In the Name field, enter the name of your integration that you want to create. The name of integration identify your integration. Name field is mandatory field. Choose Save. You might need to wait a short while and refresh the page to see the new integration appear on the Integration tab. On integration object, only name field is required to successfully save the integration. Other fields are optional. But you can describe your integration in description field so that you know later what is the object or goal of this integration. There are some important parameter which is optional and have default value already when you don’t set them. For example the parameter “Max Number of Retry” is default by 5 which mean that failed or pending message are going to be reprocessed automatically only 5 times. If exceed 5 times the message will remain in status failed/pending forever. If your requirement is to do message reprocessing more the 5 times (default value) you can set this parameter to any value you like for example 17. This would mean that the failed/pending messages will be re-processed max. 17 times.